Recently, it seemed like Apple was losing its edge to Samsung in the marketing department. But this year, Cupertino turned up the heat with ads that tugged on the full range of customers’ emotions. 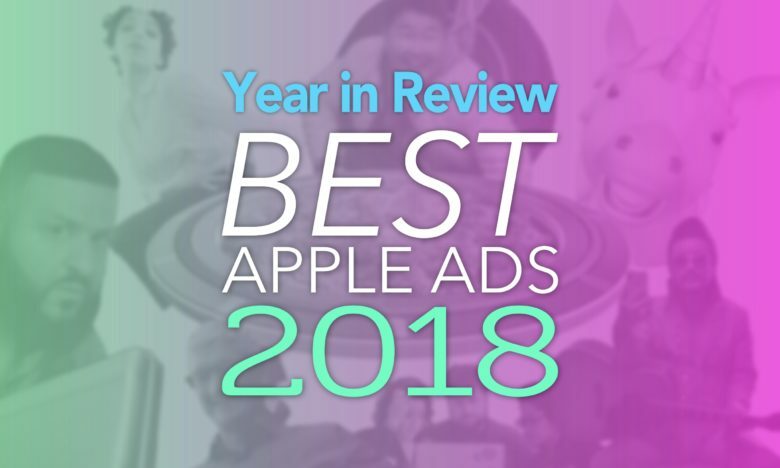 With equal parts creativity, humor and advertising genius, these Apple ads wowed us in 2018. Starring FKA Twigs, this HomePod ad has been Apple’s most critically acclaimed award of 2018. In fact, it’s not really an ad as much as it is a short film. In the video, a downtrodden office worker experiences the transformative effects of music when her HomePod morphs the physical surroundings in her apartment. The soundtrack by Anderson .Paak rules, and the ad already scooped up some awards. Apple Music ads this year generally seemed pretty weak. However, this funny, one-minute spot proved the best of them. In it, Kevin Hart plays the voice of DJ Khaled’s cute and conniving son Ashad. The ad did not prove very popular, even though it was one of the funniest of the year. It promoted a song featuring Justin Bieber, Chance the Rapper and Quavo. A couple of whimsical ads brought popular iPhone features, like Face ID and the screen on the iPhone XS, to life this year. This was perhaps the best of the bunch thanks to the music (“Back Pocket” by Vulfpeck) and the storytelling. Who hasn’t dreamed of being able to buy anything and everything you see at the mall? The iPad Pro may still not be the total PC replacement fans are longing for. But for some kids, it’s the only computer they know. Apple’s “Homework” ad shows how kids’ least-favorite thing to do can actually be kind of fun when using an iPad. The No. 1 reason this ad made the cut is because it features a kid licking watermelon off an iPad. Somehow, that does seem weird at all. Even though it’s not an ad, “The Developer Migration” was one of the best videos to come out of Cupertino in 2018. Narrated by Sir David Attenborough, the video spoofs nature documentaries like Planet Earth, only the species under the microscope are developers flocking to Apple’s annual Worldwide Developer Conference. Remembering your passwords can feel like a memory challenge, which is the exact premise of this high-strung Apple ad. Face ID eventually comes to the rescue of a gameshow contestant who can’t remember a password he just created earlier that day. If you haven’t experienced the magic of never having to remember passwords thanks to Face ID, this ad might convince you to upgrade. Released to celebrate the 2018 World Cup and showcase the iPhone’s video shooting capabilities, “Berlengas Island Cup” was one of the least-viewed Apple ads of 2018. The spot had one of the most intriguing stories in an Apple ad this year as it showed how two rival football teams from coastal fishing areas refuse to play on each other pitch because their games used to end in fights all the time. For the first time in years, they agree to meet on neutral territory, the Berlengas islands off the Atlantic coast of Portugal. The iPhone XS event was the most anticipated tech keynote of 2018 and Apple kicked it off with one of its best pranks ever. Moments before the keynote started, Tim Cook tweeted “No. Who can get it here quickly?” This sent Twitter into a tizzy of speculation that something was majorly wrong right ahead of the event. Turned out, Tim Cook was head-faking all the blog Bois and rumor hounds once this video played, revealing he jokingly misplaced his keynote slideshow clicker. Apple’s Holiday ad was a bit of a dud this year, but this Elvis-themed FaceTime Group calling ad came out right after it to save the season. It’s one of those classic Apple ads where the tech does none of the talking yet still somehow completely sells you on the product by being so gosh darn likable.